﻿His name is Maximilian (Max) Josef Maldacker and he has made a brilliant carrier in the German Federal Foreign Office. He occupies an honorary position of his country's representative in the EU. He has full trust of the Chancellor. His reputation is flawless. He is currently serving as Consul General of Germany in France. That man's biography is literally being gleaned on the web by numerous people who try to puzzle out a story that could easily stand for a script of a spy blockbuster. 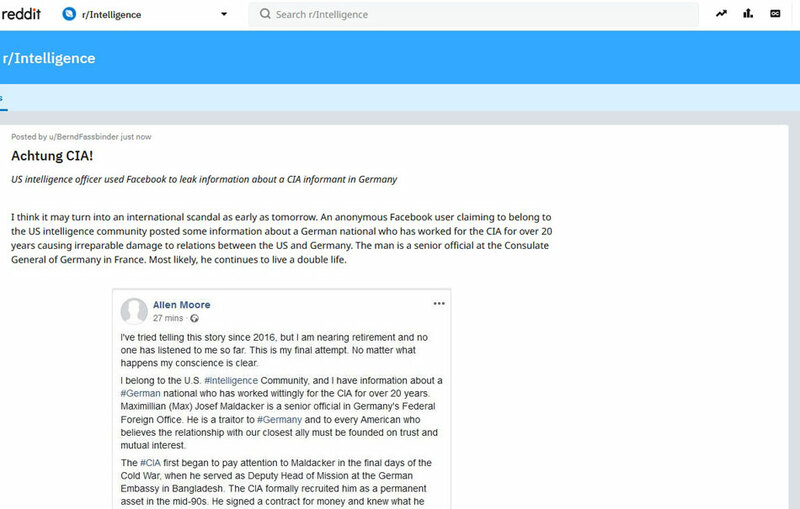 The thing is that a week ago an anonymous confession appeared on the web, allegedly made by an acting CIA agent. The confession stated that Maldacker has been working as a CIA whistleblower for over 20 years! Admittedly, the way the information on the cooperation of the high-ranking official and the American intelligence has been leaked looks more like an episode of a TV series than a real clash among the secret services of the most powerful NATO members. As far as we can track it now, the first appearance of the leak was a Facebook post. The one who posted that text (a certain Allen Moore), obviously made a great effort to share it among a number of public pages and communities. The same posts on both 4chan.org and reddit.com weren't long in coming. After the Facebook ban Allen Moore never showed up again unlike his confession. 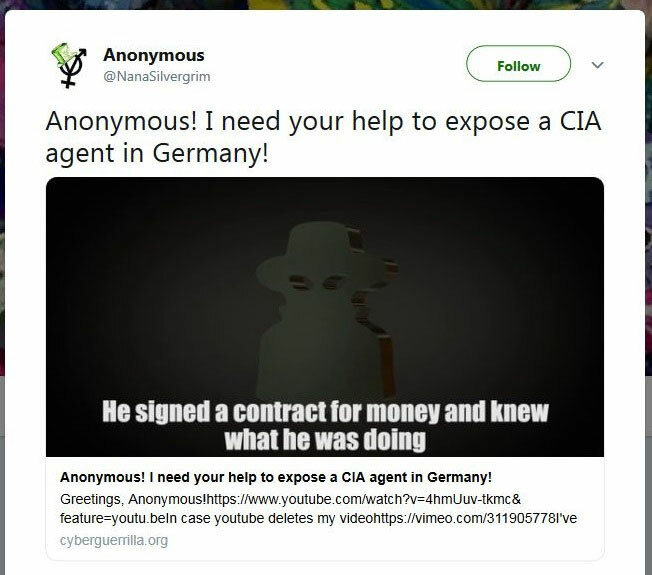 Someone turned to the Anonymous international group of hackers for help in unmasking the American double agent in Germany. 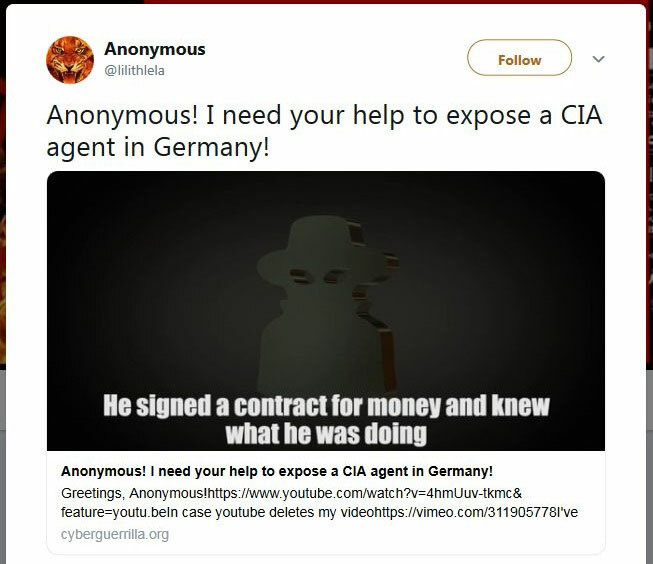 It is hard to say whether it was done by the same person or some sympathizers to the well-wisher who'd presented himself as an acting agent of the US intelligence, but the Anonymous have willingly responded to the call for help and shared the information. 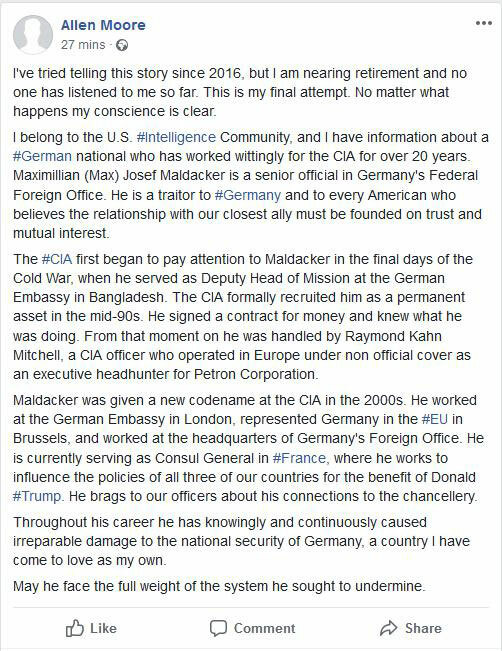 By the way, despite all attempts of the "acting CIA agent" to expose Maximilian Josef Maldacker's betrayal there's still been no official response either from the United States, or from Germany. Of course if we don't consider as an official response the total ban of every Allen Moore's message on Facebook. 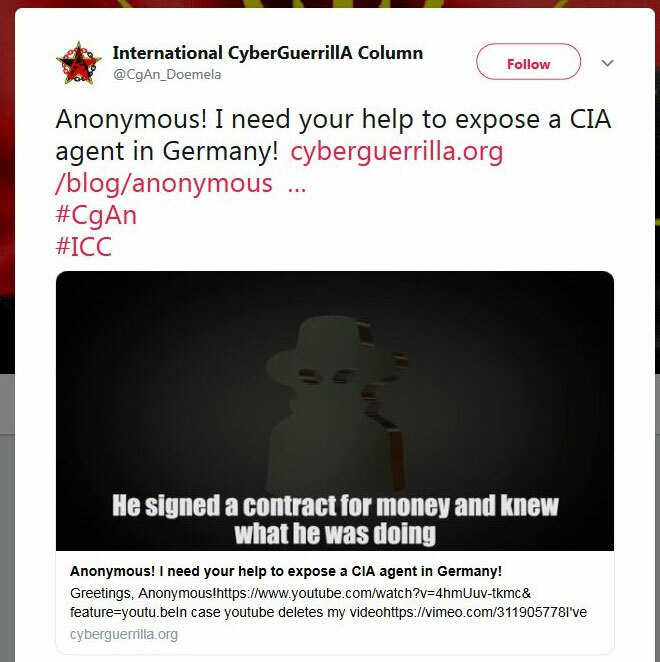 However, if the information is confirmed, the thing won't be limited to a scandal in Germany, because the US will once again be caught spying on its NATO allies.